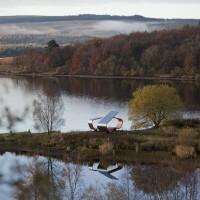 Ryder Architecture designed the Janus Chairs that have been installed at Kielder Water & Forest Park in Northumberland in North East England. 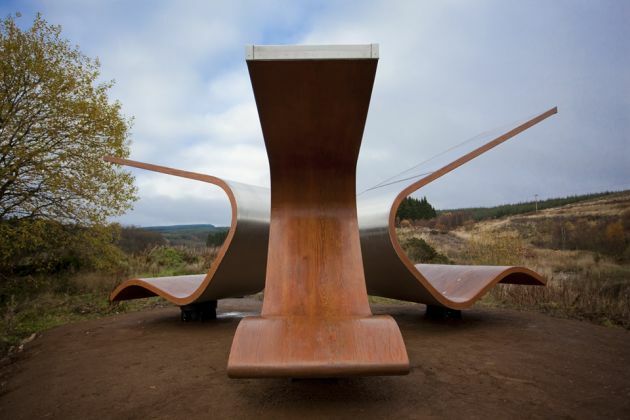 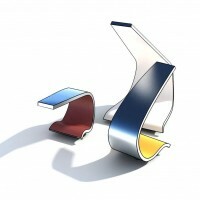 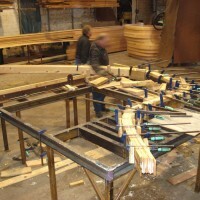 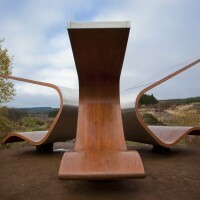 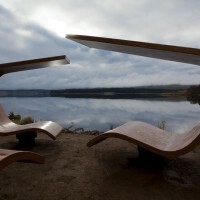 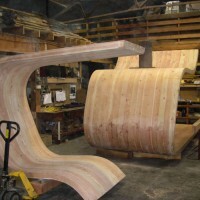 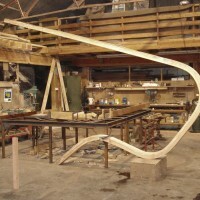 Janus Chairs was created as one of six sculptural shelters at Kielder Water & Forest Park, northern Europe’s largest man made lake and England’s largest forest. 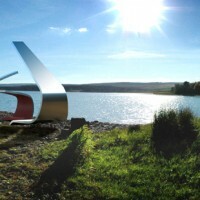 The three one piece chairs (H2.3mxW1.2mxL2.3m, H2.7mxW1.8mxL3.1m, H3.3mx W2.4mxL3.8m) can be rotated toward a favourite view, into the sun, away from the wind or toward each other to form a family group. 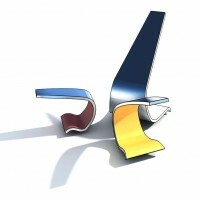 They are made from laminated Douglas fir from the Scottish borders with polished stainless steel backs. 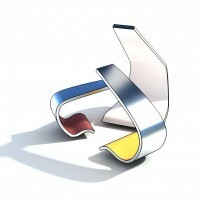 Facing inward they are the closed bud of a flower, rotated outward they come into full bloom. 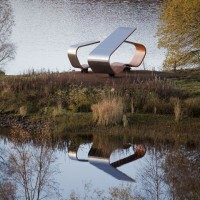 On approach, and when seen from other positions around the lake, they are one sculpture, their different but related forms providing a constantly changing composition depending on their relative positioning.